Bikeshare Hawaii are seeking public input on four different models currently on display at Honolulu Design Center, including this model called Social Bicycles. Organizers of a plan to create a bike-sharing network in Honolulu have identified four possible vendors and are looking to select one by late fall. As HPR’s Molly Solomon reports, they’re now turning to the public for feedback. Ben Trevino leads me through a showroom that displays the four different Bikeshare models. 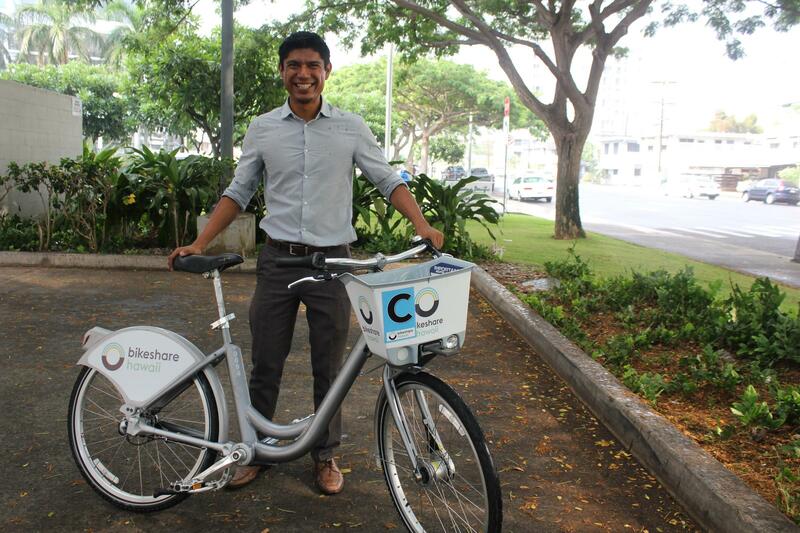 He’s considering them for Hawai‘i’s first bicycle-sharing program. In front of us is a sleek grey bike, that’s attached to a stand. 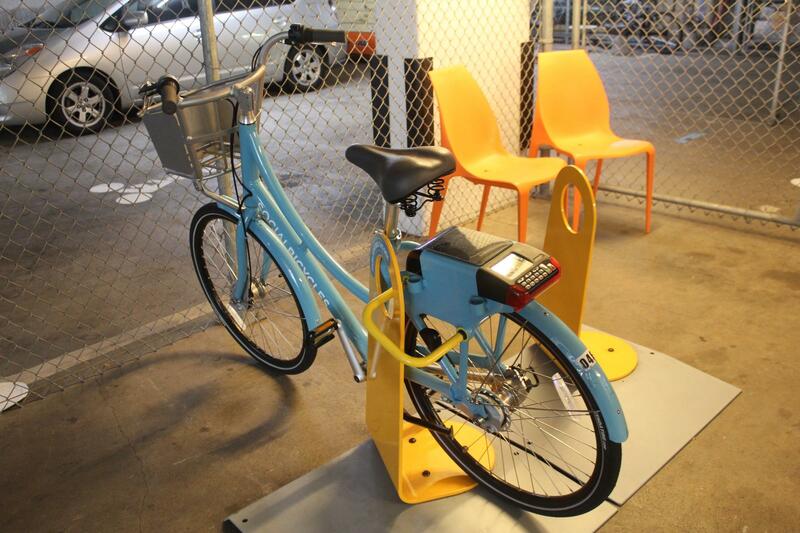 This one, called Decobike, is already a popular choice in Miami. The frame was designed to withstand humid temperatures and beach environments. Bikeshare Hawaii President and COO Ben Trevino expects to launch the state's first bicycle sharing network in May 2016. Bikeshare Hawai‘i will spend the next few months sorting through public comments, and plans to announce the winning model in late October. The next open house will be on Wednesday, August 26 from 5 p.m. to 7 p.m. in the parking lot of the Honolulu Design Center. 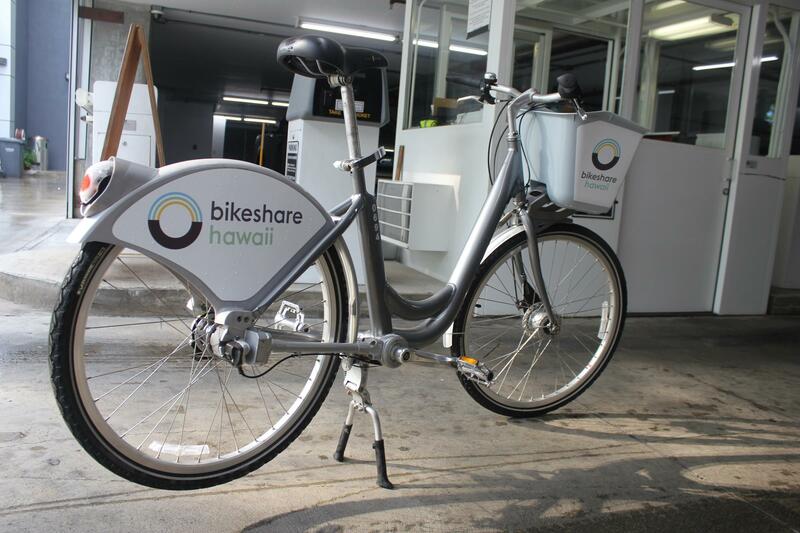 Bikeshare Hawai‘i expects to launch in May 2016. Is The New Bike Lane Hurting King St. Businesses? It's been more than a month since the King Street bike lane opened in Honolulu. And while bike enthusiasts applaud the safer ride, several shop owners in the area are saying the confusion of where to park is killing their businesses. HPR’s Molly Solomon reports.